You provide a digital scan of your photo. Don't worry if you have never scanned anything before, I can walk you through that process. If you don't have a scanner, perhaps you have a friend or relative nearby who can do the scan for you. I can provide instructions. Also, stores like WalMart or Target and most chain pharmacies can scan your photo for you. I can provide instructions. If none of those are possible for you, you can mail your photo to me, but only if you're willing to take the risk. I cannot be responsible for potential loss or damage. We'll use one of the free 'large file transfer' services to send your scan to me. If you have a favorite service, we'll use that one, otherwise I will provide you a link and any help you need. I will review your scan and provide an assessment of what I think can be done, how long it will take and an estimate of the costs. After we agree to a plan and a price, I'll ask you to send me a $10 fully refundable deposit and I will begin work. When finished, I will send you a CD with your original scan, a full-sized restored photo file in a 'lossless' PNG format, and restored photo files in a variety of sizes in JPG format suitable for emailing or other uses. If you are not satisfied for any reason, I will return your deposit and you will owe nothing. You may keep the CD. 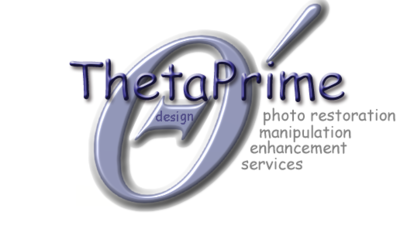 Email your inquiries to photorestore@email.com.